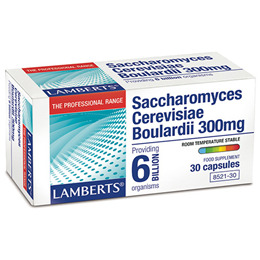 LAMBERTS Saccharomyces Cerevisiae Boulardii is a high strength one-a-day product. Providing a full 6 billion organisms per capsule, this probiotic yeast has been shown to maintain and restore the flora in the large and small intestine. These small, easy to swallow capsules are manufactured in the UK to pharmaceutical standards. Since this product is room temperature stable, there is no need to store it in refrigerated conditions. The LAMBERTS Saccharomyces Cerevisiae Boulardii is widely recommended by practitioners, especially for the management of gut health. Saccharomyces cerevisiae boulardii (Active Dried Yeast, Emulsifier: Sorbitan Monostearate), Capsule Shell (Hydroxypropyl Methylcellulose). Take one capsule daily, with a meal, or as directed by a practitioner or pharmacist. To be taken on the advice of a practitioner or pharmacist only. 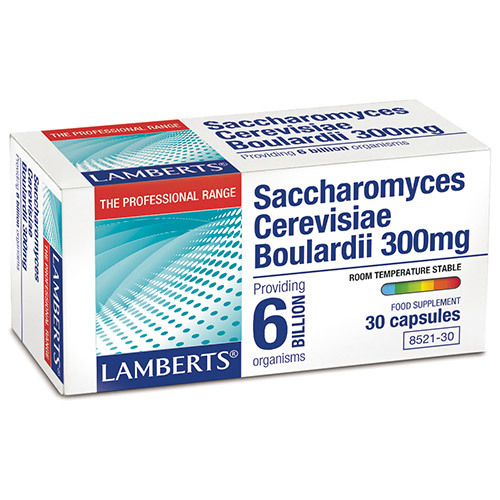 Below are reviews of LAMBERTS Saccharomyces Cerevisiae Boulardii - 30 Caps by bodykind customers. If you have tried this product we'd love to hear what you think so please leave a review. So far so good. I would recommend this product and best of all you don't need to keep it in the fridge which is handy when you go on holiday.